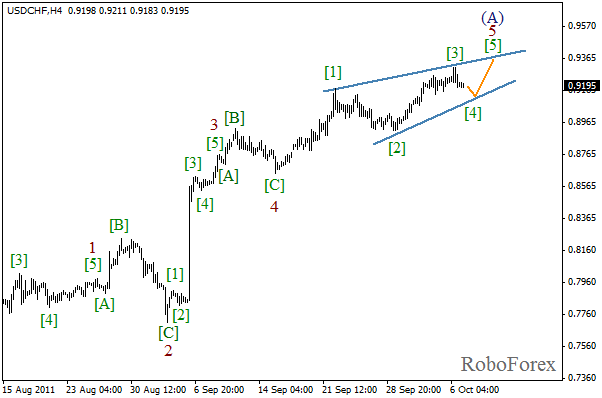 Diagonal trianglepattern in wave 5 continues. On the minor wave level we can see the formation of the fourth wave. Most likely, the local correction will be finished in the nearest future, and we’ll see one more bullish wave. 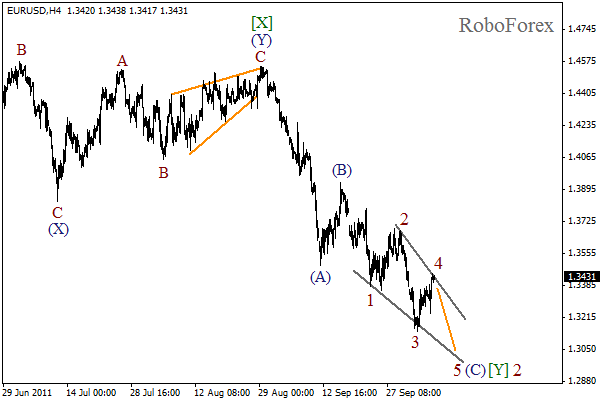 The price started forming the fourth wave, as we expected yesterday. There is a possibility that the correction may continue during the day. After it is finished, we can expect the price to rebound from the diagonal triangle’s lower border and start the formation of the fifth wave. 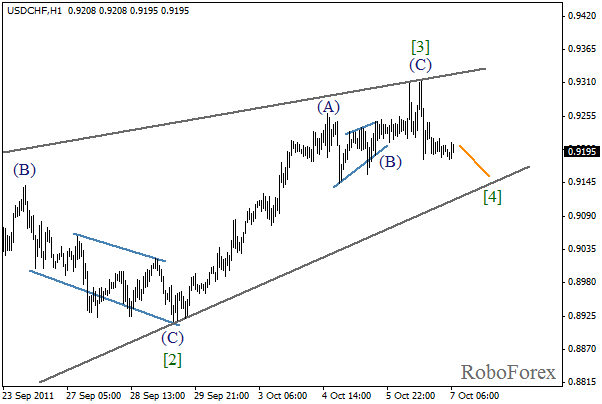 It looks like diagonal triangle pattern is being formed in wave (C) right now. On the minor wave level we can see that the fourth wave has been completed. Most likely, the price will start the formation of wave 5 in the nearest future. At the H1 chart we can see more detailed structure. 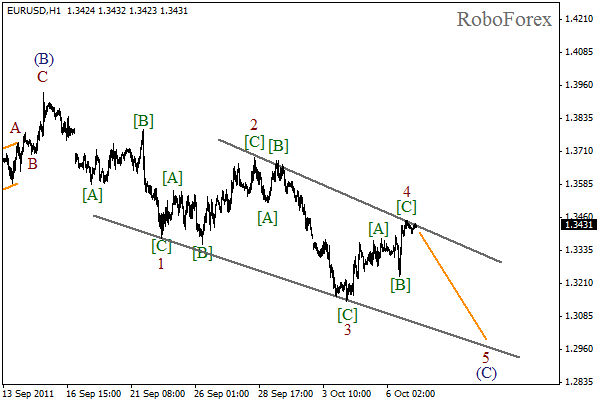 The current wave structure lets us suppose that wave 4 has been completed in the form of zigzag with flat pattern in wave [B]. During the day we can expect the start of the fifth wave.